This is another testimony that we are capable of producing products with cutting edge technology but end up shipping them out of the country for others to use. 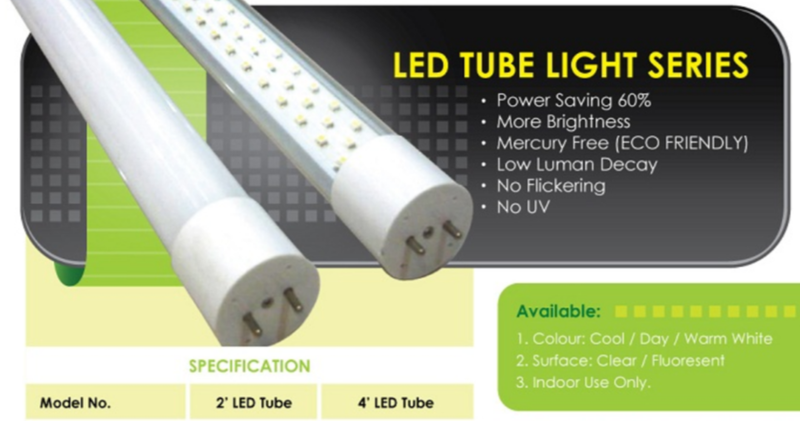 The reason for the 70% shipping out to foreign markets could be a combination of small market in Malaysia and our slow adoption of LED lighting applications. I hope it is not the latter. Kuala Lumpur: Malaysia's first light-emitting diodes (LEDs) and solid-state lighting (SSL) producer, MyLED Opto Technology Sdn Bhd (MyLED Opto), targets 70 per cent local market share in five years from 30 to 40 per cent currently. Chief Executive Officer Jetson Lai said the company is optimistic of capturing a bigger share of the local market with its prices 10 to 15 per cent lower than international brands. "About 70 per cent of sales is from foreign markets, which are our current focus, with high demand from Japan, Sri Lanka, the United Kingdom and Indonesia," he said in a statement here. Lai said MyLed Opto will more aggressively market its products locally. "The plan is to raise production capacity to 200,000 units of fluorescent lamp tubes a month from 50,000 units now," he said. MyLed Group, which is 75 per cent Bumiputera-owned, offers various LED lamps including street lamps, floodlights, fluorescent lamps as well as yellow LED lamps for the local and overseas markets. The company expects to rake in about RM2 billion in revenue over the next five years, he said. "We have signed an agreement with the marketing arm of a Japanese company to supply LED lamps for self-service machines, which number 10 million units nationwide," he said. Lai said to meet rising demand, MyLED Opto plans to venture into upstream industries and start production of LED components in the second half of this year. "To meet this target, MyLed Opto plans to invest RM120 million to RM150 million to expand operations and buy high-technology production machinery, the plan is expected to start in June. "We are working to obtain financing from financial institutions and the government, and we hope banks see the LED industry as an industry of the future after IT due to the technology's energy saving potential," he said.